I’m on a night out seeing some of my favourite DJ’s, this duo has been at the top of my list for years and I’m ecstatic to finally catch them live. So, imagine my disappointment when their set opens with some hard kicks and to be honest… not much else. Ah, they are just warming up, I say to myself, however, this minimal kick driven house continues throughout their set. Occasionally, a great track is fleetingly thrown in, only to return to a techy sound which lacks soul and substance. As I look around, I see that the rest of the crowd are loving it. It’s a strong beat, easy to move to and the crowd have been won over. So why do I feel like there is something missing? It isn’t just at this particular gig either, littered over the Identification of Music Group the paradigm is kick driven, breakbeat house. Now I’m not saying that the Identification of Music Group is representative of all that’s happening in house music currently however, it certainly is representative of what is popular and what crowds are responding to. While of course there are sub genres of house, and I could be in danger of only defining house within a restrictive deep and soulful definition – coincidentally my favourite kind of house – the sub genres don’t change the fact that house is undeniably rooted in soul, disco, funk and jazz. I don’t want to give you another lesson on the origins of house, a topic which is arguably impossible to pin to one specific occasion, but it is agreed that soul and disco were massive influences in producing the 4/4 beat, with Frankie Knuckles ‘The Warehouse’ giving house its genre title. As the popularity of ‘The Warehouse’ increased, Knuckles would mix experimental soul and disco edits with electronic elements of New Wave records, leading to the development of the 4/4 beat. Primarily the house which was being made in Chicago by the likes of Larry Heard, Marshall Jefferson and Frankie Knuckles was a matrix of love, unity and togetherness, a jumble of emotion, sexuality and spirituality projected through the medium of music. These artists took influences from a number of genres ranging from disco and soul to New Wave, however, it was Larry Heard who was particularly influential in moving beyond this to incorporate jazz, his chord extensions adding the deep element to house music. The house which originated from Chicago and lead the way for DJ’s and producers to experiment with, doesn’t just make you dance, it makes you feel. It gives you goosebumps, it has atmosphere and it conjures up a cosmically divine dimension…something which seems to be lacking in the tech driven productions of our time. I’m not saying these tracks no longer exist. Certainly, there are many producers and selectors in the scene who are making powerful, soul infused beats. To say otherwise would discredit some amazing new labels such as In Dust We Trust, selectors like Tama Sumo and producers like Henry Wu. However, I can’t help noticing that the DJ’s who are playing and producing soulful, jazz driven beats, tend to be making smaller waves - essentially acting as the underground of the underground, rather than following the popular paradigm. "Let’s make house great again." 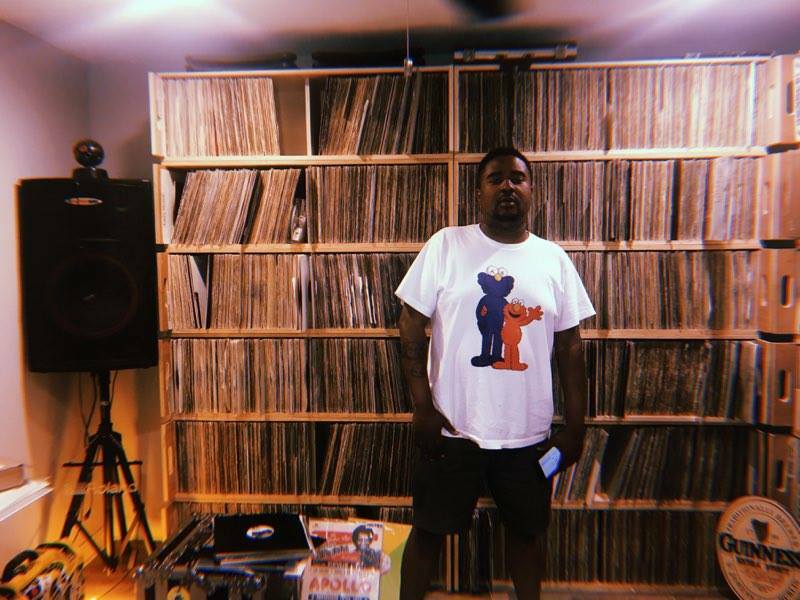 Played off Trump’s let’s make America great again Byron is outspoken about the lack of soul and swing that’s coming out of house music currently. Having worked on Kyle Hall’s Detroit Label, Wild Oats, Byron is immersed in a location with a legacy for soul and swing. As house music developed in Chicago, Detroit Techno was rearing its head in Detroit. Simultaneously minimal and funky, the genre took influences from Mowtown and funk, with bands like Parliament inspiring DJ’s across the board. Detroit Techno was all about infusing soul with machinery - entirely what house is lacking at present. While we know Trump isn’t going to make America great again, perhaps Byron will have some luck. On the other hand, house has always been and always will be associated with 'community' - drawing from deep rooted influences set in stone long before. Take a night I attended recently, Hidden Spheres in Manchester. There couldn’t have been more than 100 people dancing in the basement of Stage & Radio and yet, the people that were there were fully immersed in the music, the atmosphere exuded positive vibes and it felt close and intimate. If these events were to evolve on a bigger scale would I be complaining that the events don’t possess the same intimacy as before? Then again, I can’t help but feel people are missing out and perhaps more importantly, I don’t want it to disappear altogether, masking the origins of house music in a cloud of abstract electronics, bleeping sounds and hard kicks. Perhaps this is the ultimate paradox. Anyway, who am I to say that there is anything wrong with losing the soul in house? Perhaps, it’s just part of the shape shifting, ever-evolving landscape which is the music industry. As disco and soul evolved into house, house evolves into hard kick driven, electronic productions. Don’t get me wrong, there is nothing wrong with this. I can’t deny I haven’t felt the surge of energy amidst a tech driven set. However, the further we travel along such course, the more we observe dj's playing music far removed from the deep, groove focussed textures of which we owe electronic music to in the first place. Obviously, this isn’t always the case. I’ve been to plenty of events where soul driven productions receive much praise. All in all, I guess what I’m saying is next time you’re on the dancefloor and a slow, soulful production comes on, don’t go and queue for a drink. Deep house wasn't built for opening sets, interludes and toilet breaks. Take a second to listen and observe - let it wash over you, feel the music and perhaps you will see what I mean.